Most people panic when they find a water leak, especially during a drought. Not the North Texas Municipal Water District. 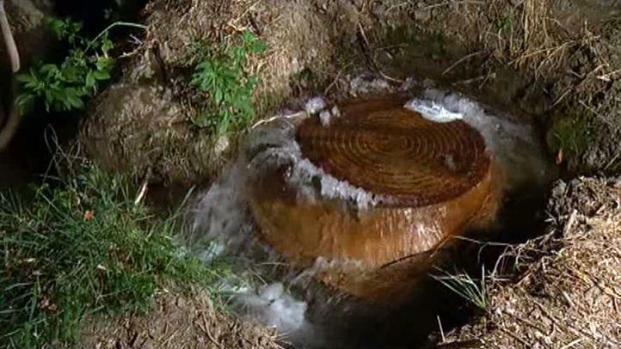 Back in June, a 12-inch pressure release valve sprung a leak, spilling hundreds of thousands of gallons of water into a nearby Garland creek. The pipe is off Interstate 30 near Rosehill Road in Garland, a city moving to Stage 2 water restrictions next week. But the water district says engineers can't fix the leak because that would cause more of a problem. The North Texas Municipal Water District says it can't yet repair a pipe that has been leaking water since June. Officials with the NTMWD said the valve is connected to a 60-inch main that provides cities such as Sachse, Forney and Mesquite with roughly half of their water supply. Fixing the valve would require turning off the water to thousands of residents, leaving them to rely on their city's reserves for 24 to 48 hours. "That's a risk we're not willing to take and we need to make sure we get the supplies to our communities, " said Denise Hickey, of the NTMWD. The water district said it already has the parts to fix the leak, but crews are waiting for a dip in water demand. Hickey said that could be next month. 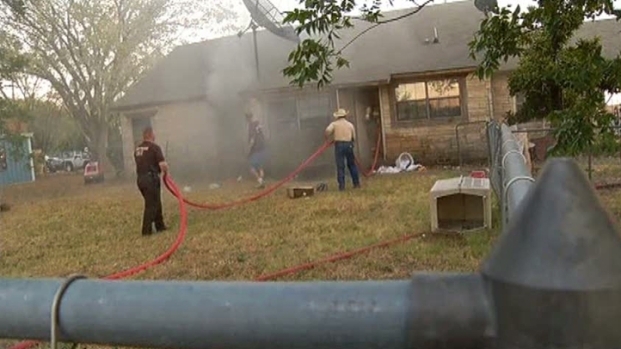 Fire crews used a portable tank and the help of neighboring fire departments to battle a house fire in Kemp. Hickey also said a good rain would also prompt them to fix the leak. "Fixing the leak is a priority," she said.